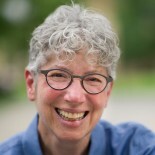 Jill Dolan is a professor of English and Theater, director of the Program in Gender and Sexuality Studies, and, since July of this year, Dean of the College. In this interview, Dean Dolan talks about the importance of arts in academia, the recent activism on campus and gives advice to undergraduate students at Princeton. Daily Princetonian: To start things off, what inspired you to join academia? Jill Dolan: I never intended to be an academic. I wanted to be an actor, so when I went to college, it was to be an actor in this professional theater training program I enrolled in at Boston University. But, that changed very quickly for various reasons, and I became a critic instead. And then after I graduated I spent two years writing theater criticism and then I decide to go to graduate school because what I was really interested in was feminist theater criticism. I just wanted to learn more about it and how to do it, but I was going to be a writer, not a professor. But it turned out when I finished my Ph.D., colleges and universities were actually looking for people in my field. So, I decided to apply to jobs and I got a position at the University of Wisconsin-Madison teaching in the theater and drama department. So it was kind of serendipitous. I never really expected to be an academic, but it turned out it’s everything I love, really. DP: How has the undergraduate experience changed since you were at school? JD: That’s such a good question because I was an undergrad so long ago, and I’ve been thinking about it a lot lately in relation to the activism on campus. When I was in college, we couldn’t get close to the president of the university. It was just this real sense of him being up here and us being down here. I didn’t even know where his office was, and I feel like now students are more hands-on in terms of their education and the expectation is universities will be more hands-on with them. It used to be more of a transactional relationship I think, except of course for professors and students. But in terms of how the administration relates to students, I think that has changed a lot and, of course, at a place like Princeton that is pretty small, I think it’s easier to form more personal relationships. DP: Thinking of your experiences as an educator at the University of Wisconsin and the University of Texas, how is Princeton unique in comparison? JD: You know, at a large state school they tend to draw a lot from the state population. So at Wisconsin, I was teaching a lot of students who came from very small rural communities where there was mostly farming and things like that. In Texas, which is almost the size of a country, it’s such a huge state, it was also the case. There it was people coming from Dallas and Houston and San Antonio, but a lot of people from around the state for whom coming to Austin was coming to the big city. At Princeton, for the most part, students have been to lots of places; they are coming from a lot of different places. Ironically, although it is a residential community, in a way that those two campuses weren’t, Princeton feels more cosmopolitan because people come from so many different places and have so many different views. DP: What defines your style of teaching, or what do you go into a classroom trying to accomplish? JD: I like to go into a classroom with questions rather than answers and with a great deal of curiosity for my subject that I hope to inspire in my students. As a critic, I try to only write about things I like and want to recommend. As a teacher, I like to teach things that excite me and that interest me and that I think students might not find on their own. So for me it becomes about sharing things that I care about and believe in and want other people to experience. Of course I can do that because I teach primarily in the arts. I teach theater courses and performance studies courses. But that sense of trying to inspire people in a way they haven’t thought about before — which I’m sure lots of teachers do — is really my way of teaching. DP: Why do you feel that the arts are so important? JD: I think the arts are so important because they tell us stories about who we are and who we might be. And they give us a place to imagine worlds that we are not experiencing right now, worlds that don’t exist right now, they give us a way to imagine other sets of social relations. They let us think about pleasure and beauty and pain and grief. It’s always been to me that the arts are really kind of an interesting emotional and political laboratory that literally lets us rehearse things together that other aspects of life don’t. DP: How have the arts and your career within them prepared or inspired what you hope to accomplish as dean of the college? JD: I think that being a theater person all those many years and being a critic and someone who has taught in theater departments, I’ve never stopped being around the process of doing theater. You just have to learn collaboration in any art form really. The arts are so much … about seeing yourself in relation to other people and having a common project that isn’t going to succeed unless everyone is doing their best and allowing everyone else to do their best too. That’s what I feel like I bring to this very large portfolio of the Office of the Dean of the College, is trying to bring everyone together to do our best work for the students who are the people who are constituents. DP: Speaking of which, for students who might not have a complete understanding of what the dean of college does, what’s a quick description of your work? JD: (Laughs) Very few people do know what my job is actually, or what I do! The elevator speech would be that my office is responsible for the whole undergraduate curriculum, so we have some responsibility for vetting new courses, for putting together the course schedule, for approving certificate programs, working with departmental representatives, anything that touches the undergraduate curriculum. International programs, the Writing Center, McGraw Center are all under the dean of the college, as well as undergraduate research. It’s all about the undergrads and their curricular experience. DP: What has been your favorite moment and one of your toughest moments so far as dean? JD: Well thinking off the top of my head, one of my favorite moments was interviewing Laverne Cox … I felt very keenly that as the person that was interviewing her publicly, I was playing that role [as dean] in terms of trying to facilitate that experience for the undergrads for whom the event was meant. But it just felt great to be in that community of people and hear her talk in such an inspiring way and hear her be really academically, socially and politically acute was wonderful. One of the more challenging moments was being in the president’s office with the activists and really trying to be productive and generative, and make things that would be good for the whole entire campus happen. DP: What are your general thoughts about activism on campus, especially the recent activism related to the Black Justice League? JD: I think the fact that we are having conversations about race, history and belonging on campus is all really important. And we are inspired to do this with a certain kind of urgency because of students making this visible and important and also because of what is happening nationally. I think we are part of a national conversation about all of these issues and it translates in very specific ways at Princeton. We have this myth that Princeton is an Orange Bubble and that we are all insulated by ourselves here, and it’s so not true. This semester has demonstrated the ways in which we are connected to history and how we are connected to what is happening in the rest of the world in really important ways. So that’s I think the good part of it. DP: Have there been other instances of activism over your eight years at Princeton? JD: I guess not to the extent that has happened this year if we count starting last spring, but there has been a lot of agitation. There is an ongoing need for Asian American studies, and students and alumni have been very activist in their desire to see an Asian American studies program be established. I think there has been a lot of activism on the part of LGBT students, especially trans students, about gender pronouns and those types of issues. This is the first time during my experience at Princeton where the activism has been so visible and so public, but I think there is a lot of student agitation on campus. When I came here, people said to me “Princeton is so apathetic, the students there aren’t terribly political,” and I honestly haven’t found that to be true. I think students have a variety of strongly held political opinions and they feel comfortable expressing them. DP: What do you wish students understood better about the administration? JD: I wish one of the things students understood is that academic institutions are very complicated. I’ve never worked anywhere else [other than academic institutions], so I can’t compare it with corporations. But I think because we touch on so many aspects of people’s lives and futures, because we work with faculty and staff and students, because students are here for four years and then we get new students all the time, I think the transmission of information about how things work is really challenging. I think I want students to know that the administration has a lot of good will and they really want to do the right thing and be as transparent as possible. People aren’t trying to mystify anything, it’s just an elaborate institution that has its ways of doing things. DP: Shifting gears, as a woman in academia, what are some of the things you have observed or seen change in terms of women in academia? JD: I think partially because I’ve always been in theater studies and women’s studies, I’ve felt gender and race and ethnicity differences a little differently than peers in, for instance, the STEM fields, because the arts historically have been more gender-balanced and also more generous about differences in general. But in my experience as an administrator, there is still a lot of gender and racial imbalance in terms of who really holds these administrative roles. I know it’s changing incrementally so there are relatively speaking more women and more people of color in administrative roles than there were when I started out as a student, but I’m still amazed by how imbalanced it is even though people are working so hard to shift that balance. DP: What are some of your goals as Dean? JD: One of my goals is to get more people to take a sense of agency over their education. Not just their grades, not just their plans for the future, but really how they experience themselves as students on campus. I would love to see us be less about benchmarks of success and more about the pleasure of thinking — of experiencing new things and thinking about how you grow as a person through what you study in the classroom. If I could accomplish a little piece of that, I think I would be very, very happy. I’m also excited about the General Education Task Force work and what we can accomplish in terms of re-envisioning that process and what it means. To me, being involved in what it means to be an educated person in the 21st century is really exciting, and if I can contribute anything to that process on campus I would be delighted. DP: What advice would you give to undergraduates at Princeton? JD: I would really encourage people to think of their undergraduate education as a place to take risk and experiment. Not only with the courses that you choose to take or what you choose to major in, but what you choose to do on campus. My friends at the Lewis Center always said, “Don’t feel like you have to know anything about dance or theater or photography, but give yourself the experience of trying something that is completely out of your wheelhouse.” Take a computer science class not for any reason that has to do with your future career, but because you are interested in what it means to be thinking that way. If I had my education to do over again, I would really try to branch out and experience as many different things as I could. I would push against this notion that you have to specialize and encourage students to have a broader, more varied and more experimental experience here.